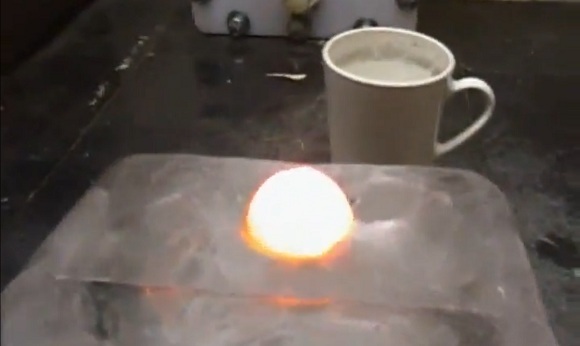 The video is made by the same guy that posted the video where he drops a smaller, heated nickel ball into a cup of water (video below). Now that video has dome really cool sound effects to it, created by the cooling nickel ball and the water. Today’s video, however, doesn’t have the same cool sound effects but is very cool visually. The nickel ball, making its way down the ice block, reminds of those old World War II bombs that were dropped by ships to destroy submarines.